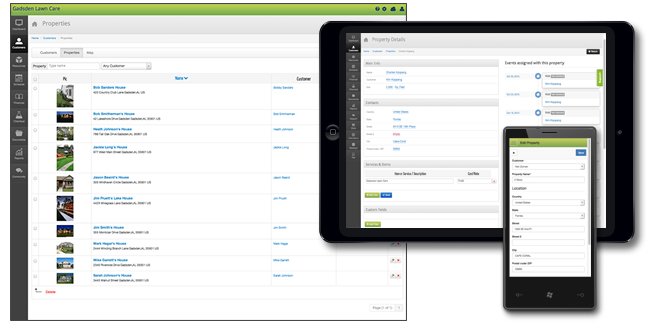 View and manage all of your customers in one place. Edit a customer, add new customer, see all of their properties you service, see their location on a map, view their account balance and more all from this screen. On this screen you can see all the details about your customer's properties. You can enter, schedule, and service an unlimited number of properties for each customer. Each property can have its own service date, as well as one or more default services for that property and more. 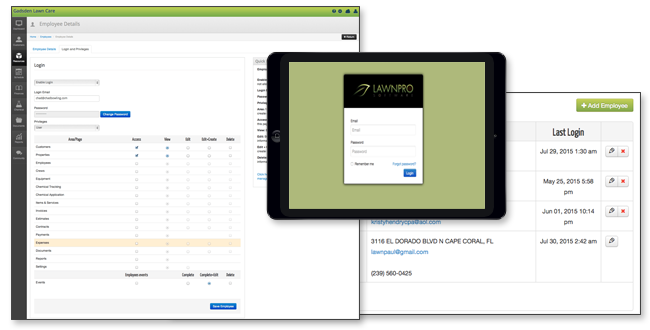 With LawnPro, each property can have its own default service or services you perform there. Each time you complete a visit to that property, the default service or services are automatically added to be invoiced. When you create an invoice, all the dates you visited the property, the service or services you performed will be automatically added along with prices with you! 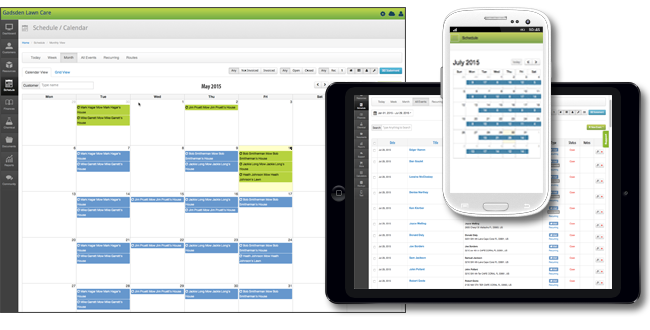 Schedule a single visit to customer's property, or create a set of recurring visits. View your schedule by the day, week or month. Set up a one time or set of recurring visits to a customer's property. Recurring visits can be scheduled to be a certain number of days between each visit, to be visited on a certain day every week and more. Recurring visits can last for a certain number of visits or can be set to end on a certain date. Allow us to do the routes for you! 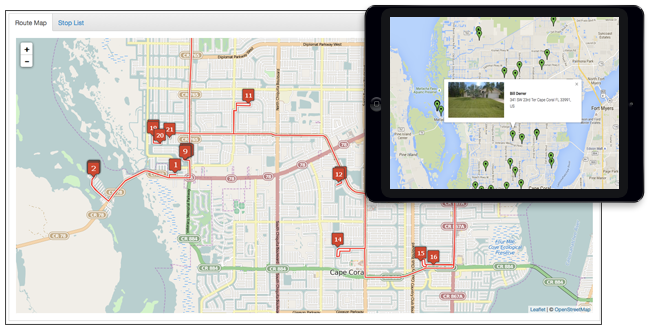 With LawnPro, you can generate an efficient route for all the properties you service. 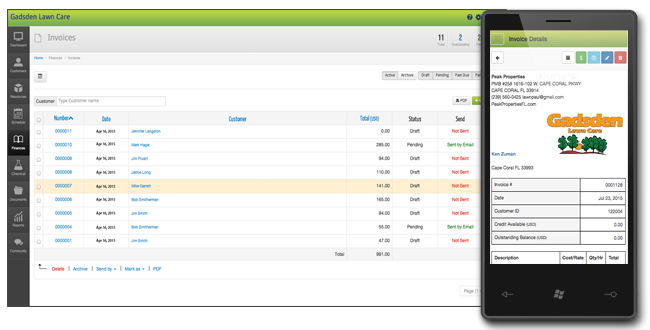 With LawnPro, routes update in real-time for all users. Office staff can watch as the crews complete jobs. We also provide a customer map to view all property locations on one page. 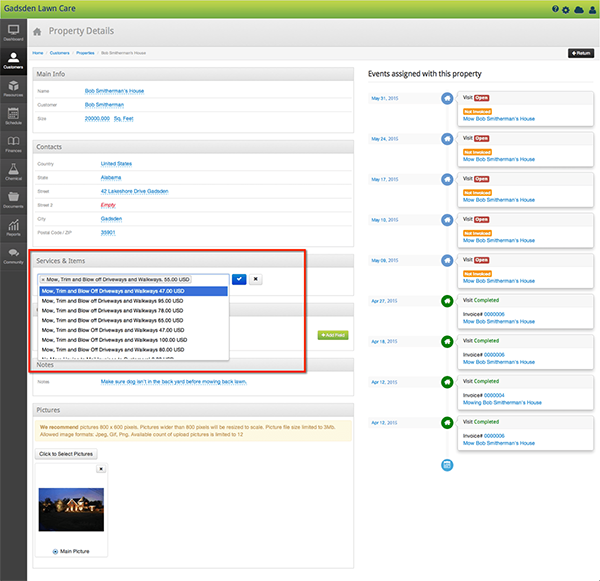 You can even view images attached to properties on the costumer map. 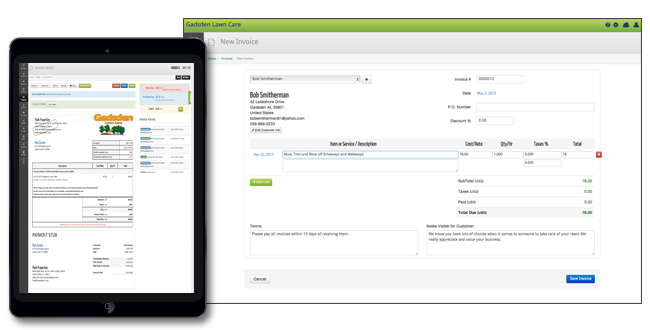 No other software makes creating invoices this quick and easy. 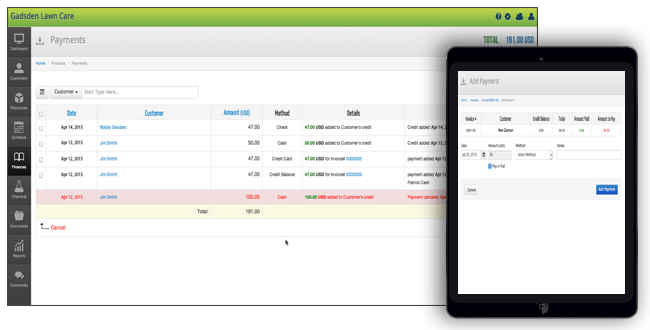 Create an invoice manually by simply choosing a customer, then just choose the item or items you want on the invoice. Print, email or have us mail invoices for you. 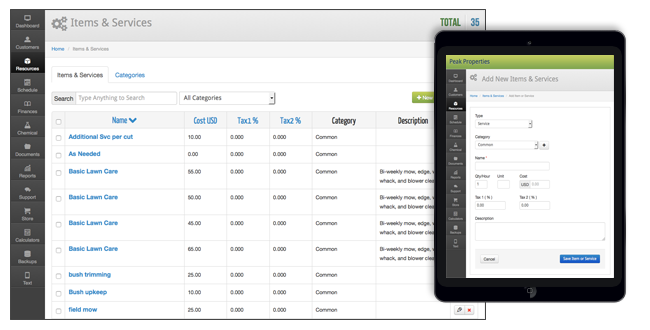 Not only is it very easy to create invoices manually, you can also create them automatically based on visits you've made to customer's properties. 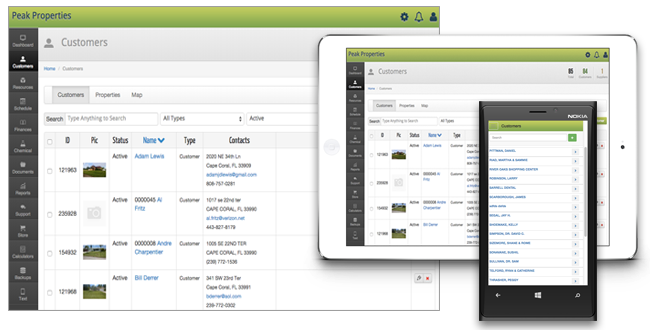 Create detailed estimates that can be sent to customers by email or regular mail. Customers can approve estimates online! 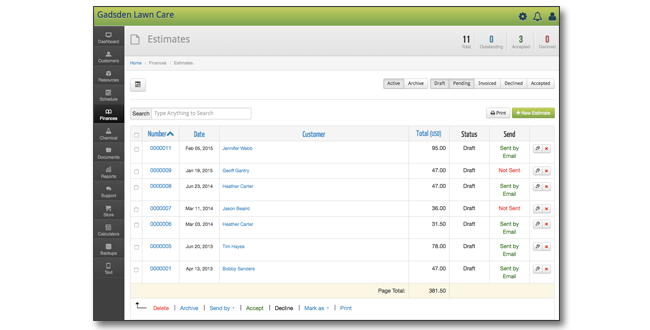 Estimates can be turned into an invoice with one click! 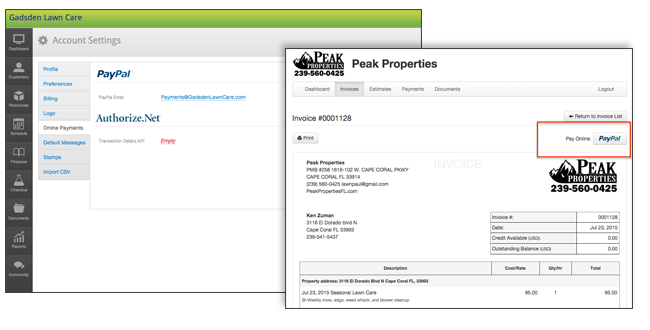 With the ability to attach images, you can add pictures to an invoice for clients that require proof of labor. This has been an increasing need with bank owned properties. 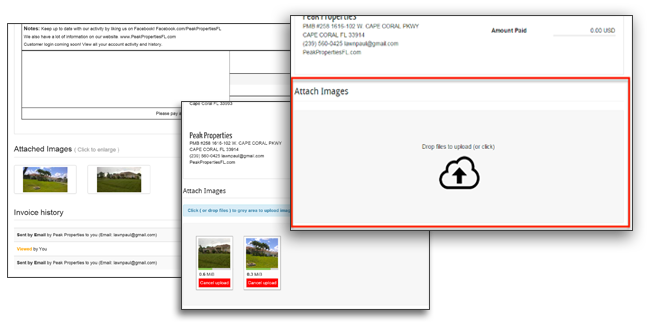 You can also attach coupons, gift cards, or any other image you choose to upload. 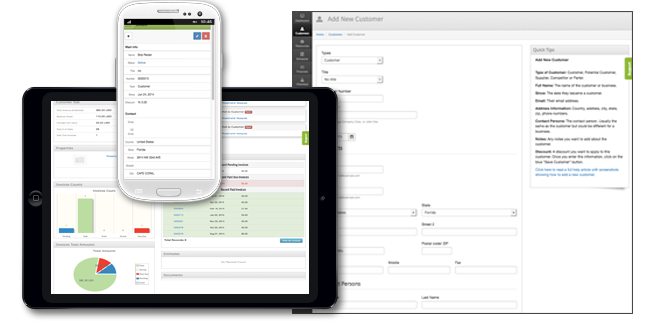 When customers pay online, payments are automatically applied to their account and invoices are marked as paid. You can also enter payments you receive from them when they pay by check or cash. Apply a credit to their account and more. 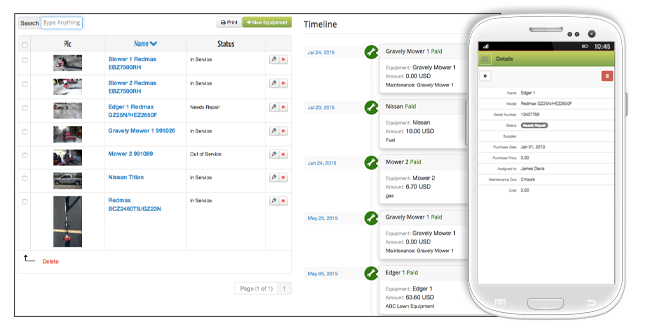 Enter and track all expenses for your business. 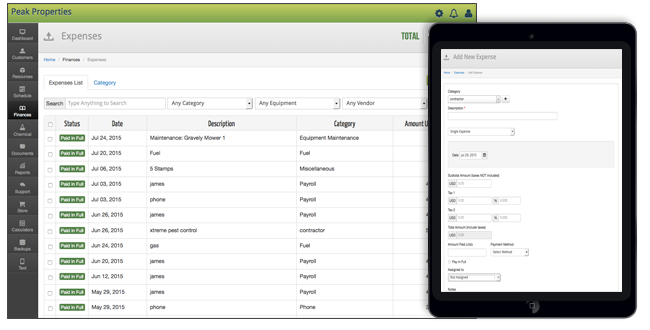 You can categorize expenses any way you need to and even assign an expense to a customer. Anytime you email or text an invoice to your customers, there's a link included for them to click and pay online with Stripe.com. It's all done automatically! Get paid quicker! One of the coolest things about LawnPro is the ability to let employees or anyone else you need to have their own access. You can choose what screens each person can see. It's totally up to you if they can see prices, customer info, if they can schedule, edit or delete visits to customer's properties and more. No other software gives you this at no additional cost! 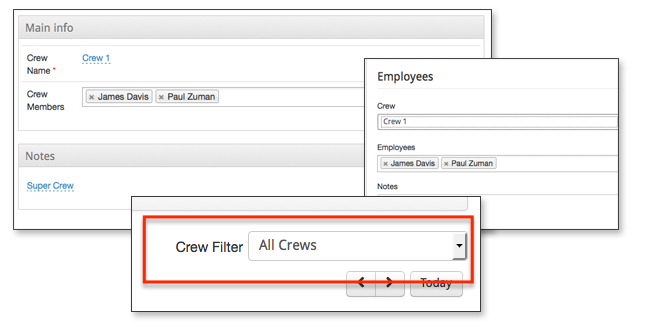 With crew setups, You can assign multiple employees to the same task with ease. Enter your equipment, serial number, where you bought it, upload pictures and more. You can also set up equipment maintenance reminders and these will be put your schedule for you! Keep a lists of part numbers and notes for all equipment. Each equipment item has its own parts page! 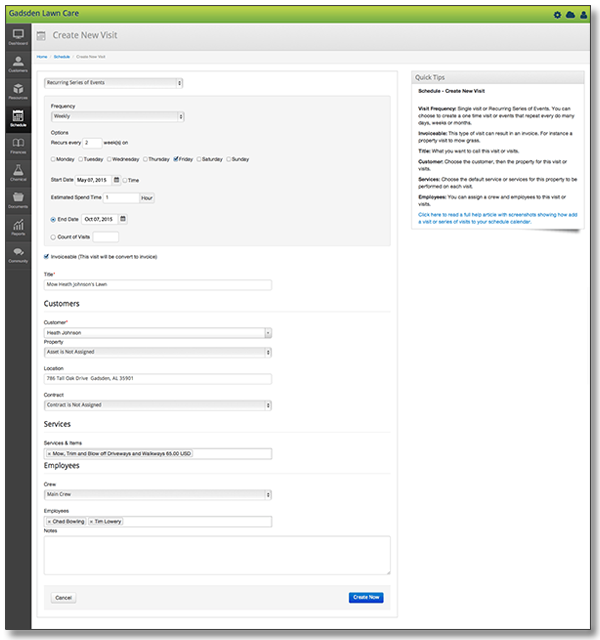 Create a reusable list of all the items and services your business uses. Quickly use these items or services on invoices and estimates. All items can have a quantities and units of measurement applied ( such as square feet, etc ). All items and services can also be taxable. 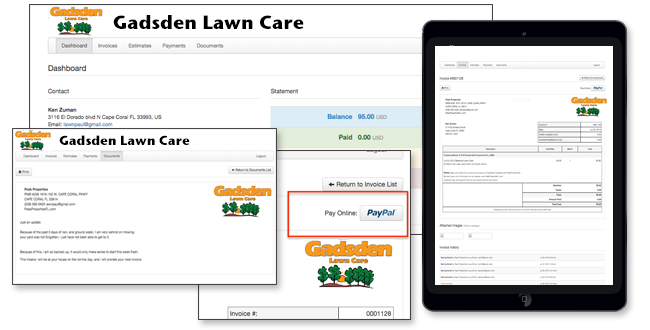 With the client area, your lawn care customers can view their invoices, view and approve estimates, pay you instantly via credit card or Paypal and more. 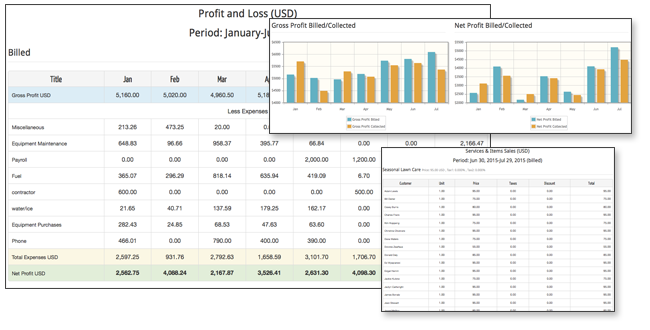 View and print easy to understand reports such as Profit & Loss, Tax Summary, Expenses, Revenue by Customer, Accounts Aging and Sales by Items & Services, Active Customers, Inactive Customers and more. 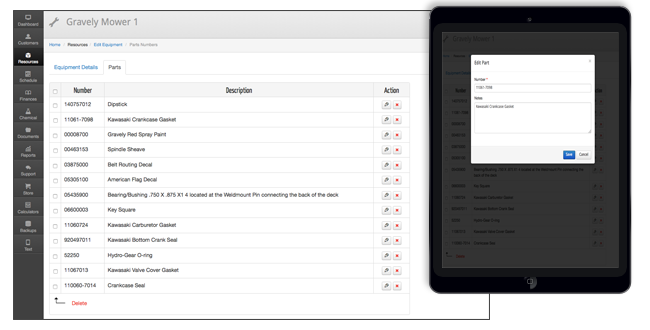 Reports can be sorted and filtered by date, customer and more.